We have genuine Red Hawk parts so you can get mowing again. Does your walk behind lawn mower resemble a firetruck? If so, you probably have a big ol' Red Hawk. Get your parts here, 24/7 shopping online. Not sure what you're looking for? 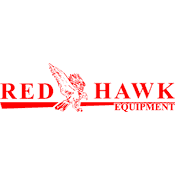 Browse all genuine Red Hawk parts here.